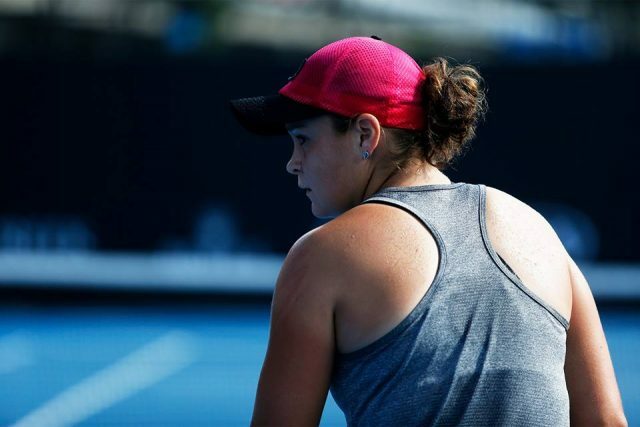 Fed Cup captain Alicia Molik has revealed world No.14 Ashleigh Barty (Qld) will lead Australia’s World Group charge when they face Fed Cup 2018 finalists USA in Asheville, North Carolina from 9-10 February. Barty, off the back of an impressive summer campaign where she became the first Australian female quarterfinalist at Aus Open in 10 years, is currently sitting at a career-high world No.14. She will join  Daria Gavrilova (Vic),  Priscilla Hon (Qld),  Kimberly Birrell (Qld) and  Astra Sharma (WA) in the five-strong team. Gavrilova will aim to build her Fed Cup form after sealing victory over the Netherlands in Wollongong last April. Priscilla Hon, Astra Sharma and Kimberly Birrell will all push for selection in the final four during the week leading into the tie. Sharma has been named in the Fed Cup team for the first time following a breakout Australian Open where she earned her first ever main draw Grand Slam win, and reached the mixed doubles final as a wildcard pairing with fellow Aussie JP Smith. She currently sits at a career high world No. 160. Kimberly Birrell has also hit a career high of world No. 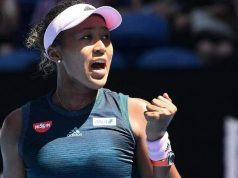 157 following her incredible run to the Australian Open third round, and scoring wins over quality opponents  Daria Kasatkina,  Donna Vekic and  Kristina Mladenovic. Priscilla Hon has experienced Fed Cup as an ‘orange girl’ and will play off for full selection. Hon has also achieved a career high ranking this January of world No. 136 and is currently at world No. 146. Barty’s versatility will again be pivotal to the teams’ success with her proven ability in both singles and doubles, and the only player in the world with a top 15 singles ranking and a top 10 doubles ranking. “This is a quality team and I’m very happy with our selection,” Fed Cup captain Alicia Molik said. “Ash has had an incredible summer and she loves the Fed Cup team environment. It’s very exciting to see her step into a leadership role and I know she’ll set the standard in terms of professionalism. “Dasha is also a great team player and is motivated to start the year well. She and Ash will be happy to share their knowledge with our talented young group of Priscilla, Kim and Astra. They’ve all had tremendous experience over the summer and deserve this opportunity to represent their country. 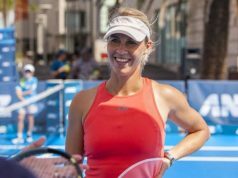 “We are really thrilled to be back in the World Group for the first time since 2015, this tie is a great opportunity for the girls’ to prove the strength of women’s tennis in Australia right now and I think it’s going to be a great battle. “I know we’ll be up against the crowd, but I encourage any Aussie fans who will be in the US to come down and show your support for the team, it’ll be a really entertaining tie and I’m sure the team will make Australia proud,” Molik continued. The USTA and United States Fed Cup Captain Kathy Rinaldi today announced that No. 17 Madison Keys, No. 23 Danielle Collins, No. 36 Sofia Kenin and doubles No. 13 Nicole Melichar will represent the U.S. The Fed Cup by BNP Paribas World Group tie at US Cellular Arena, Asheville, USA. The US leads the head-to-head 9-5, and the last time the two teams met in 2016, USA defeated Australia 4-0. Fed Cup by BNP Paribas is the World Cup of Tennis. It is the largest annual international team competition in women’s sport, with 98 nations entered in 2018. The competition is 55 years old, having been founded in 1963.